After a refreshing sleep and a phenomenal breakfast at Pentagoet Inn, start your morning out right with a cup of ethically-sourced, custom-roasted, organic Arabica coffee at 44 North Coffee on Main street in nearby Deer Isle. Delight in the aroma of seasonal organic beans and taste the eruption of flavor in each drop. Since their opening in 2007, El El Frijoles has always made their entire menu from scratch each day. Their deliciously rich Mexican fare depends on lots of fresh, locally-sourced components and offers bold and interesting flavors. To top it all off the restaurant is located in a converted barn offering a truly unique and off the beaten path dining experience. Chef Devin Finigan of Aragosta grew up planting gardens, churning butter, and making ice cream with her sisters using milk from the family cow. Today, her youth is her inspiration for Aragosta’s farm to table dining that is brought to life by the working harbor and surrounding farms in the picturesque coastal Maine town of Stonington. Bagaduce Lunch is a local favorite lunch spot thanks to their award winning menu that features a tremendous lobster roll, fried clams, and a variety of daily soft serve ice cream flavors such as watermelon, vanilla, black raspberry, and pistachio! The perfect side of the road spot in Brooksville where no nonsense summer food and a quintessential Maine setting are on the menu. Satisfy your sweet tooth at Black Dinah Chocolatiers Tasting Room in Blue Hill. You’re sure to feel sweeter after indulging on signature chocolate drinks and cookies, gourmet truffles and small-batch artisanal ice cream. For a quick pick-me-up stop by their full espresso bar. Get a glimpse into the life and people of the Blue Hill Peninsula when you walk around the local farmer’s markets in Maine, offering fresh local produce, live music, . 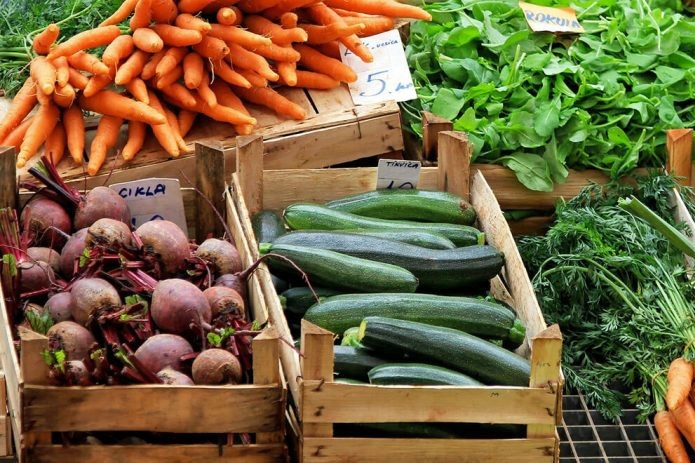 Stonington Farmer’s Market takes place mid-May through mid-October each Friday from 10am to 12pm. Night Market is open mid-May through November each Tuesday from 4 to 6pm in Deer Isle Village. Castine Thursday Market runs late-June through August from 9am to 11:30am only a short walk from Pentagoet Inn & Restaurant. Stop by the Windmill Hill Gardens market in Castine for all your picnic lunch essentials featuring pie, slow roasted ribs, rotisserie style chicken, local BBQ sauce, specialty wine and more! The Sow’s Ear Winery Their Tasting Room in Brooksville is open Tuesday through Saturday from 10am to 5pm until fall. Tinder Hearth Wood-Fired Bread is also in Brooksville and serves wood-fired naturally leavened bread, pastries, and pizza all season long. Arborvine Fine Dining in Blue Hill is the perfect location for a romantic dining experience with intimate tables, cozy fireplaces, knowledgeable staff, and creative thoughtfully prepared food. David’s Folly Farm practices sustainable agriculture and is a great spot for community and family events such as farm dinners, private parties, movies, and workshops! Perry’s Lobster Shack in Surry is a waterfront restaurant staple for locals and tourists alike who are looking for a fresh-off-the-boat lobster. 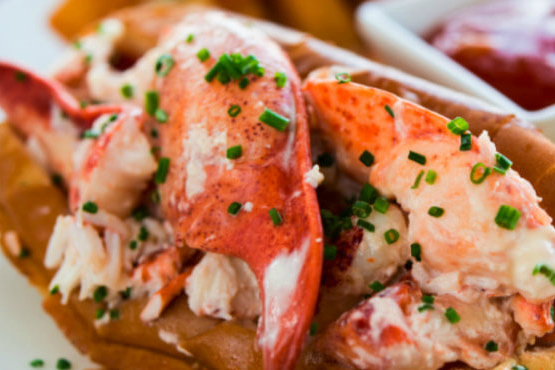 Both inn guests and the public are welcome to dine at our top-rated Castine, Maine restaurant and enjoy the renowned farm to table menu offering lobster, local seafood and fish along with other expertly prepared dishes. We also recommend enjoying a drink, or two, in The Baron Pub and Wine Bar, a favorite spot for many guests. Call 207-326-8616 for reservations! 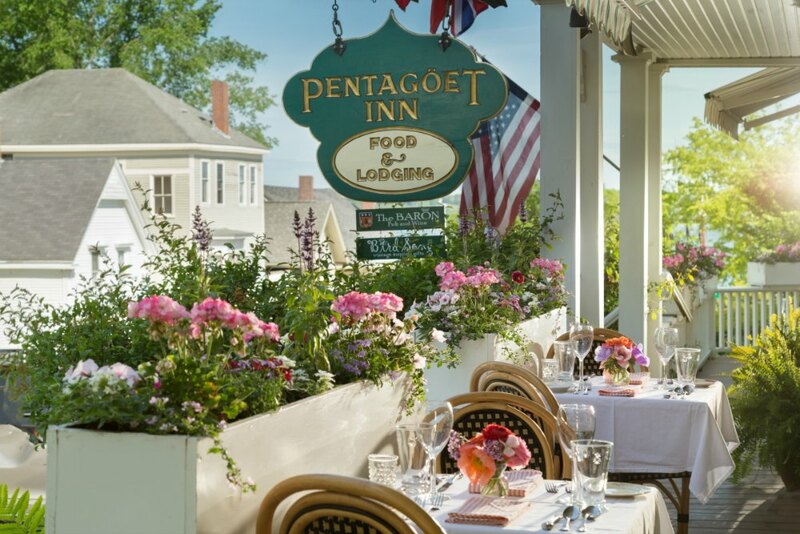 So the next time you are looking for a Coastal Maine Getaway, check in to the Pentagoet Inn and Restaurant to kick start your dining experience.